Would you have believed, almost 3 years ago, that you’d still be nursing today? Probably! In fact, you probably never imaged NOT nursing. 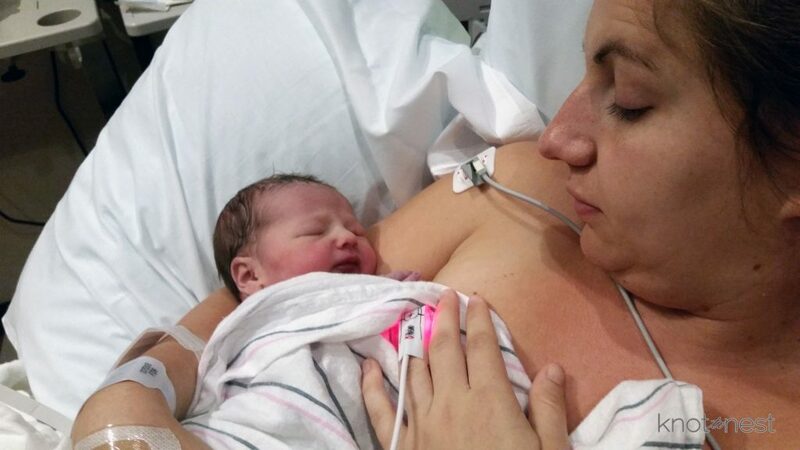 You might not realize it, but our journey in nursing started off a bit non-traditional due to your short NICU stay. But even after a tumultuous birth you came out ready for milk. I was so worried nursing would be difficult due to your birth but you latched, fed, burped and fell fast asleep. After that first session, there was no turning back. In no time, you and I were a cohesive milkin’ team. As a baby, you were pretty simple. You had, really only a few requests: nursing and being with mama. 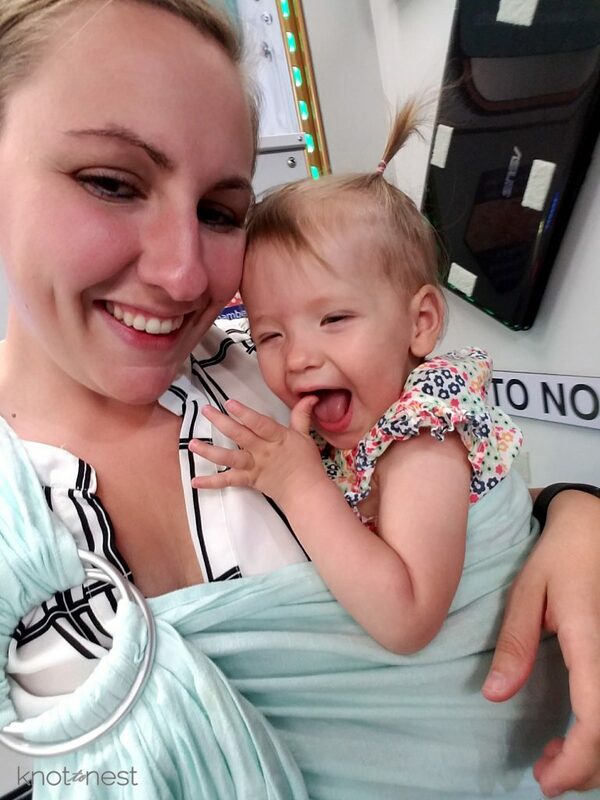 You loved being wrapped or nursing and I just happened to have a pretty snuggly sling. I have loved baby wearing with both you and your brother. And the sling even allowed on-the-go nursing. You have always a fan of nursing and I am thankful our journey together was a bit easier than my journey with Asher. In fact you loved nursing so much that sometimes you nursed every. single. hour (not so much to my liking but you seemed happy so we went with it). But our journey hasn’t been without struggles. In nursing we battled through teething and leaps and growth spurts. Your difficult birth left us with some latching issues and together, with an amazing therapist we overcame that hurdle too. We overcame cluster feedings and trips in the car where mama played contortionist so you could get your milk while strapped safely in your seat and daddy drove. We continued to nurse through my return to working part-time, bottles and pumping for 18 months. So here we are now, nearly 3 years later, and things are winding down to an end. I can’t believe it to be honest. Prior to your brother I never imagined nursing into toddler-hood. And to have surpassed the 20-month line he and I had seems pretty remarkable. 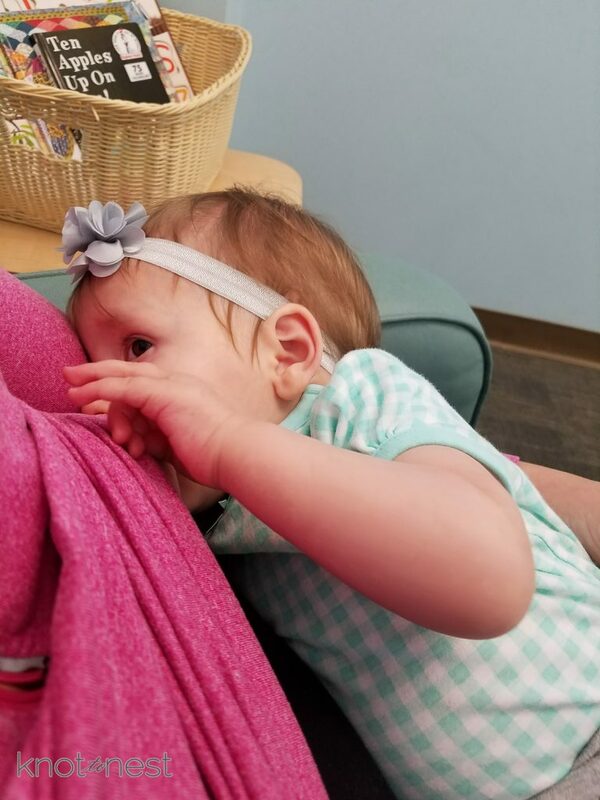 About 6 months ago you began nursing only for some naps and just before bed. 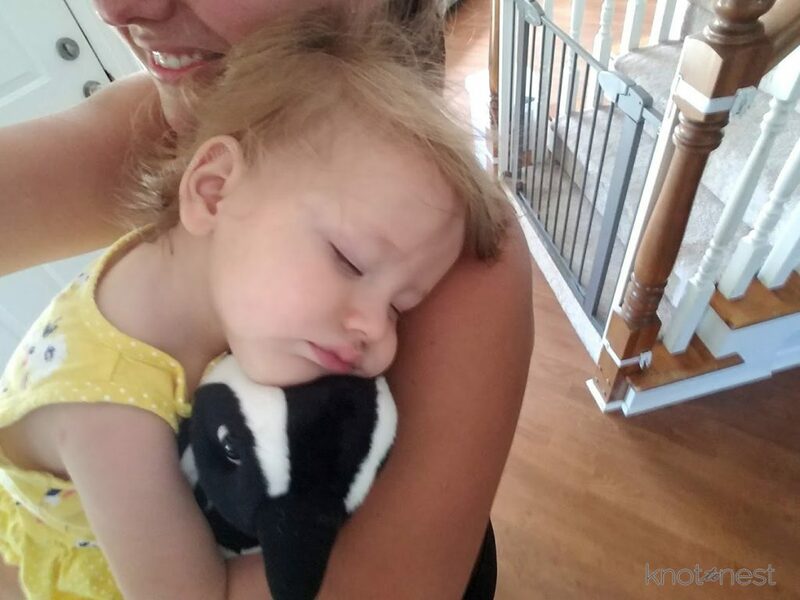 Our nursing sessions were much shorter and you’d say “all done” and happily roll over to sleep. With your new baby brother or sister growing in mommy’s belly you are now down to nursing for a few minutes every couple of days. We can both sense that weaning is here. I know soon you won’t ask for “mama milk” before bed. While I will be sad when this journey ends, it is the right time for us. It isn’t likely you will have many (if any) memories of our nursing sessions and the time we spent together, just you and me, but I will. This time together will forever hold a place in my heart. I will forever remember the way you giggled while still latched on. I will always cherish the way your lips stayed pursed after you unlatched sound asleep. I will one day long for the weight of your tiny hand on my chest while you stared up into my eyes. 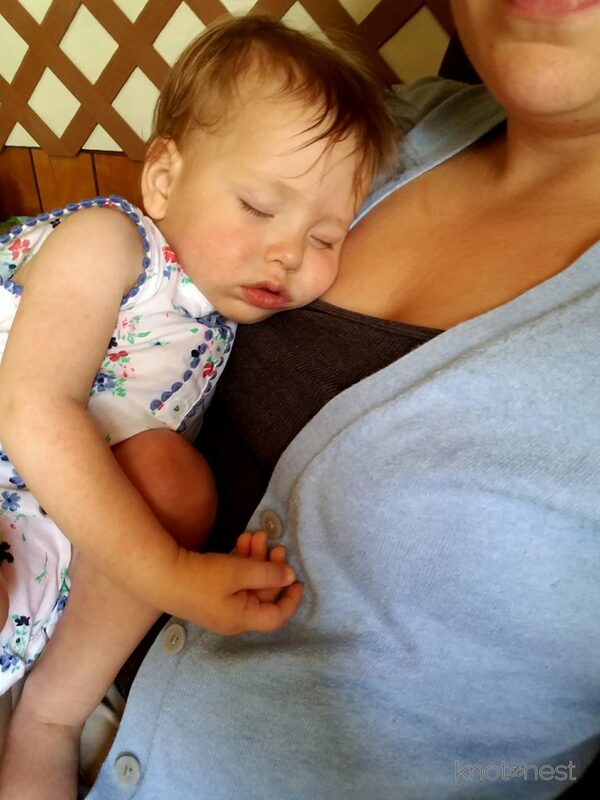 I will miss the days of you asleep on my chest after nursing. As you grow older, I will wish back the power of nursing to solve all your problems: tired, hungry, hurt. I know before long you won’t ask for “milk milk” or “mama milk” anymore. I know that one day you will just roll over and go to sleep and just like that the door will close on our nursing adventure. Each day I see you growing farther and farther away from babyhood. The end of our nursing journey shows another leap into independence. And even if, in the here and now, I am not ready for you to be so much older, I know our journey is meant to end one day. I will mourn the loss of this connection. This special bond only you and I have. Just the same way I mourned the end of the journey of nursing with Asher. 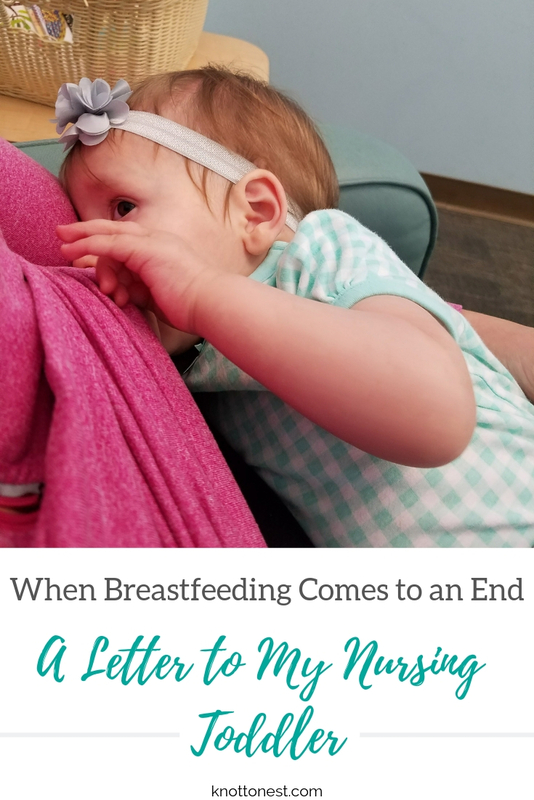 But I won’t fret, because I know these long nursing sessions and snuggly nights together have built a foundation for a pretty stellar connection between you and I. So when the time comes and you fully wean, I will simply put those memories into a little box in my heart and prepare for our next adventure together as mother and daughter! I love you my little nursling!